Park Math has a winning formula of combining excellent hands-on math activities in a fun park setting where kids play with adorable, friendly animals. Set in a playground full of adorable-looking cartoon animals, Park Math makes learning to count, add, subtract, finish patterns, and sort items a lot of fun. 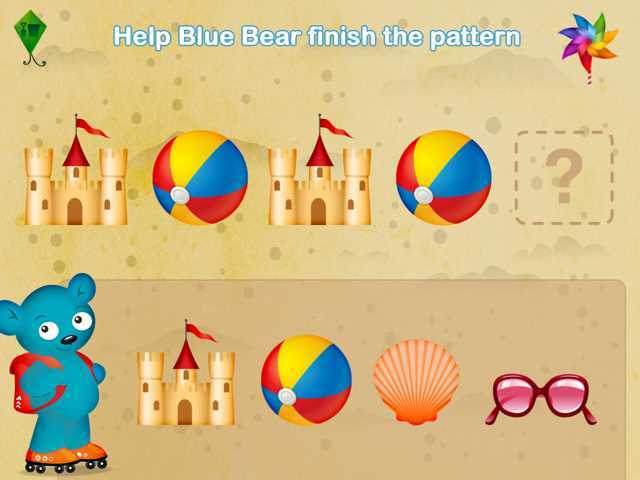 Hosted by a blue bear wearing a backpack and roller skates, this easy-to-use math app entices kids to learn by involving them in fun playground activities. It has seven educational games that can be played on three levels of difficulty. The swing set and the picnic blanket are used for counting, the slide for addition, the seesaw for equalities, and the park bench for sorting. An apple tree hosts an activity about subtraction; and the sandbox is the place to complete patterns using toys. For many kids, manipulating objects helps them to better understand math concepts. In these games, kids can use virtual objects (or characters!) to help them comprehend concepts. 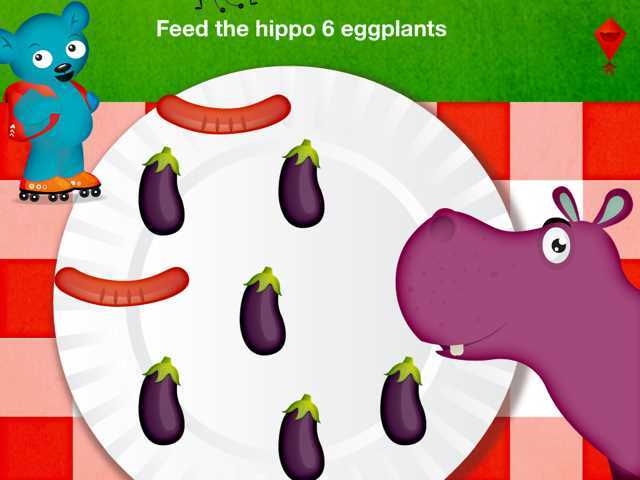 For example, to learn to count, players go on a picnic with a hippo and feed him a requested number of fruits or vegetables as the host bear counts aloud (and the number is shown). Likewise, to learn the concept of sorting from small to large, children move adorable black dogs around on a park bench. Learning addition involves tapping on ducks to have them waddle up the ladder of the slide to join their siblings. As kids learn these beginning math concepts, this app grows with them. 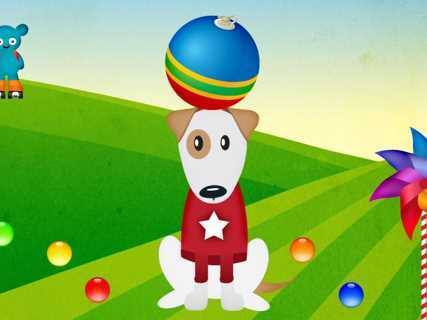 Park Math allows both kids and parents to easily adjust the difficulty level by tapping on the onscreen "Level" button. It has a crisp, colorful design that feels inviting, and the gameplay is accompanied by upbeat music. By offering three levels of difficulty, Park Math works well with preschoolers, kindergartners, and even first graders. For iPad users, this iPhone app works fine; but there is a separate "HD" version that can be found here. This updated Park Math app review was written by Jinny Gudmundsen. The original review was published on Oct. 1, 2010.